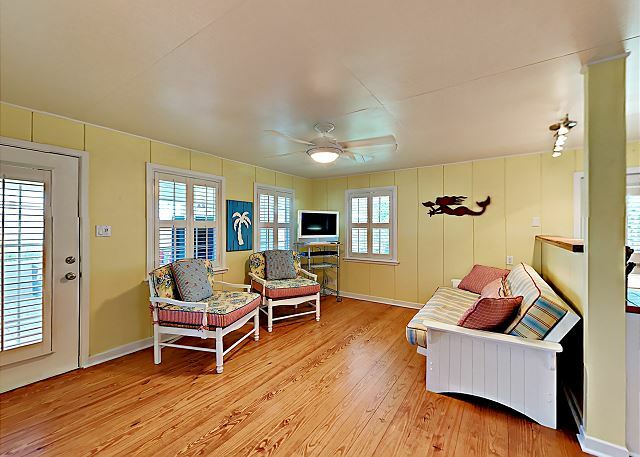 Screened in Patio/Porch, Beautifully Decorated with 52 inch TV. Patio Furniture. Small Table Could be Used as a Breakfast Nook, or Dinner with Breeze Coming Through. Back Patio Vacation rental house. Sleeps 4, 1 bedroom, 1 bathroom, Sofa Futon. Dogs allowed. Vacation rental house. Sleeps 4, 1 bedroom, 1 bathroom, Sofa Futon. Dogs allowed. BBQ-Pit Beautiful Shade all along Back Yard. BBQ-Pit Lots of Shade to help out with BBQing Has Laundry Room Washer and Dryer, and Cleaning Fish Hut. Place to clean your catch of the day. 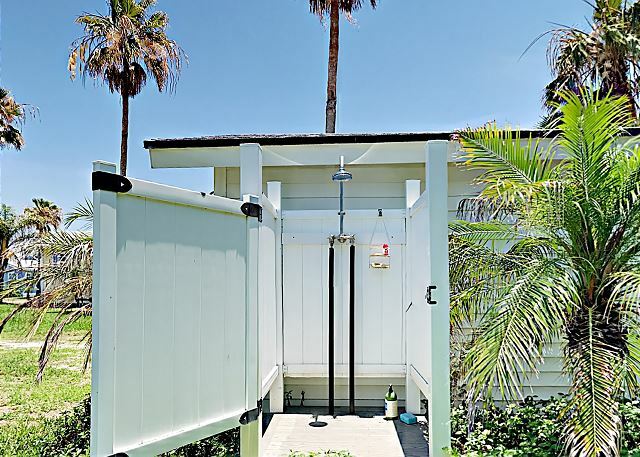 Outdoor Shower to Rinse Sand Off From the Beach. BBQ-Pit, Out Door Shower. 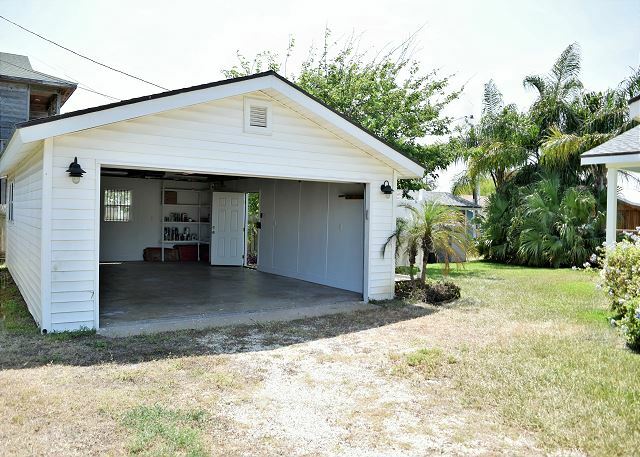 Double Car Garage Double Car Garage Washer and Dryer Super Cute New Property Available for you to Rent. Living Room, Kitchen and Dining all Open Space. 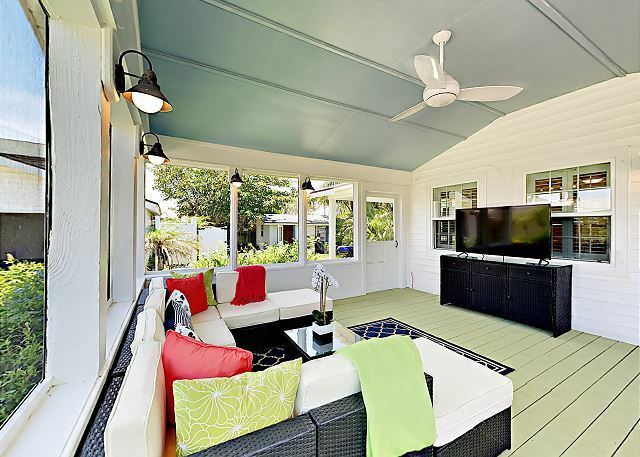 Amazing Patio Screened In Porch Beautifully Decorated with 52 inch TV. 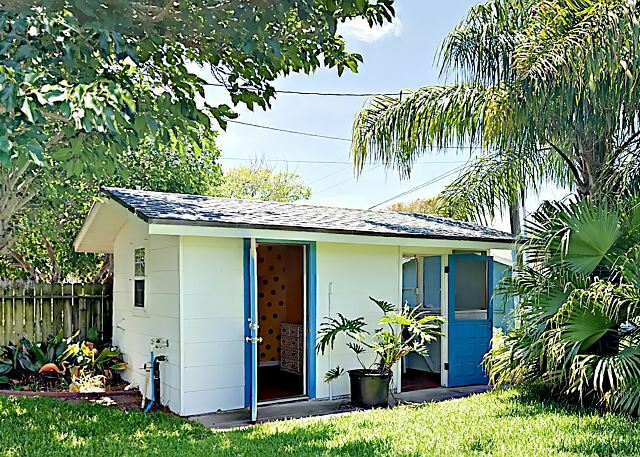 Super Cute New Property Available for you to Rent. 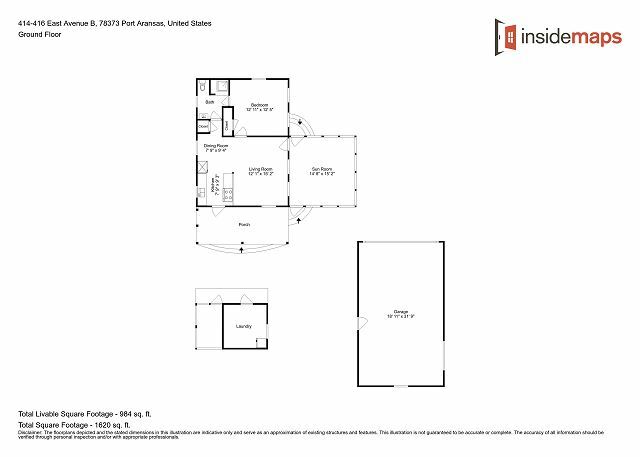 Living Room, Kitchen and Dining all Open Space. 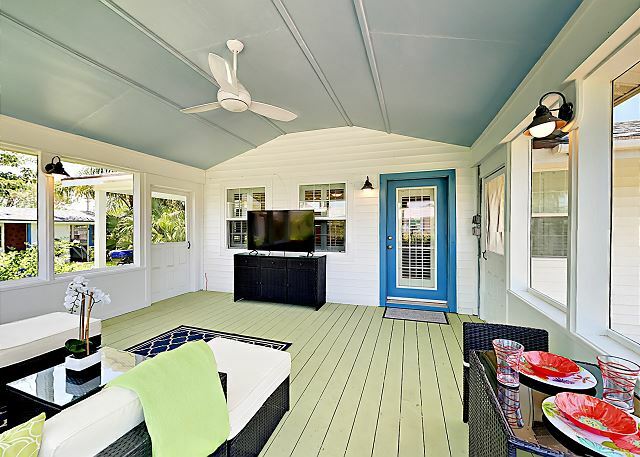 Amazing Patio Screened In Porch Beautifully Decorated with 52 inch TV. Futon Sofa. 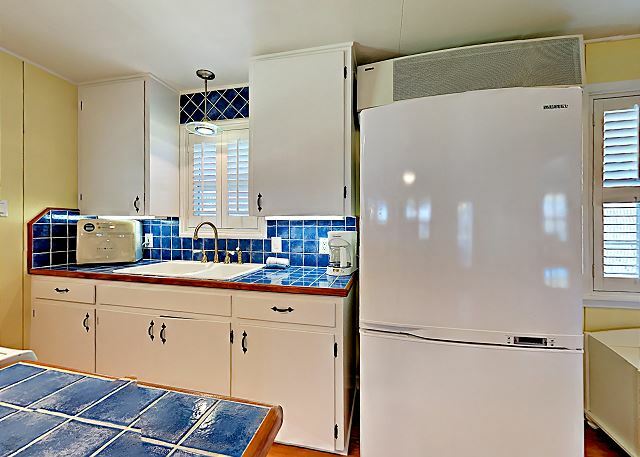 Full Kitchen, Refrigerator, Coffee Maker, Microwave, Toaster, Cookware. 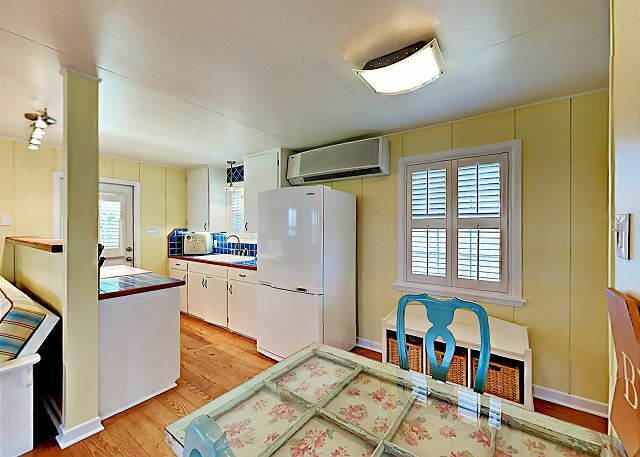 Full Kitchen, Refrigerator, Coffee Maker, Microwave, Toaster, Cookware. Dining table. 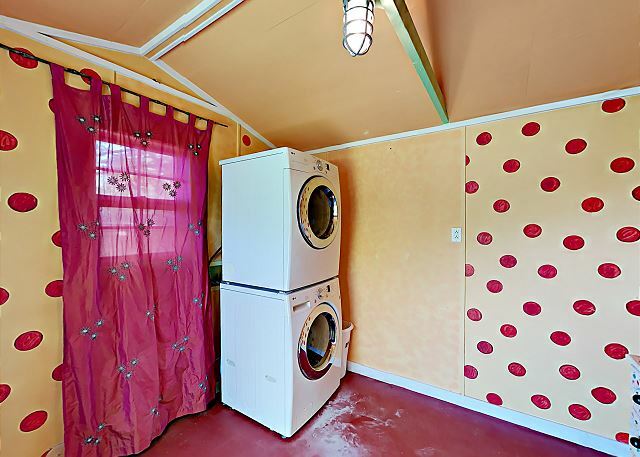 Cute Property Sleeps 4. Queen Size Bed. Queen Size Bed, TV, Closet. Queen Size Bed, TV. Bathroom Shower no Tub. 2 seat dining table. 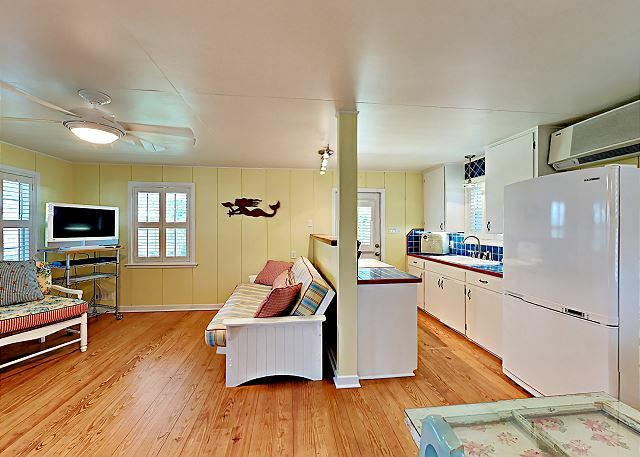 Fully Equipped Kitchen, Refrigerator, Coffee Maker, Microwave, Toaster, Cookware. Screened in Patio/Porch adds lots of living space in our Breezy Cottage. 52 inch TV, Beautiful patio furniture to sit relax and take in the Breeze. Enjoy a glass of wine while watching your favorite sport or show, and take in this nice breeze, in this beautifully decorated Patio. 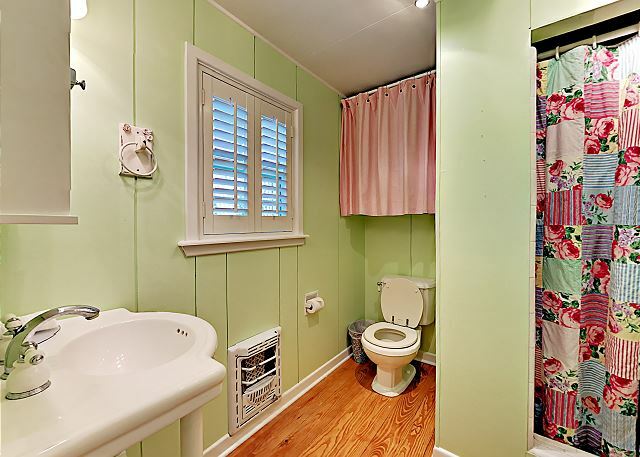 Cute Cottage Sleeps 4. 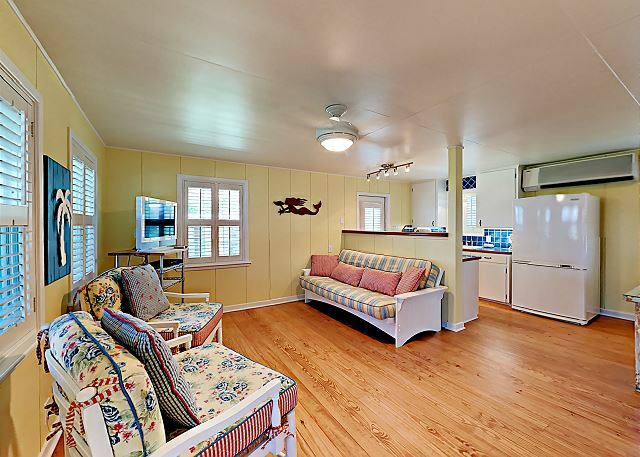 Beautifully decorated & remodeled charming cottage with an incredible screened-in porch with 55" TV for outdoor entertaining. Enclosed fish cleaning station & laundry room out back. 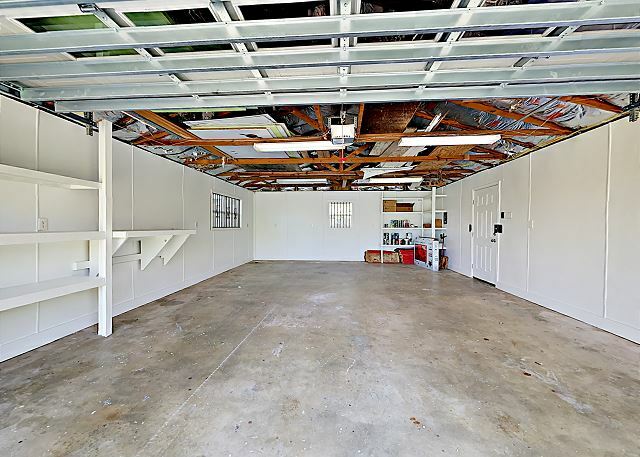 Detached garage with plenty of parking for your boat. 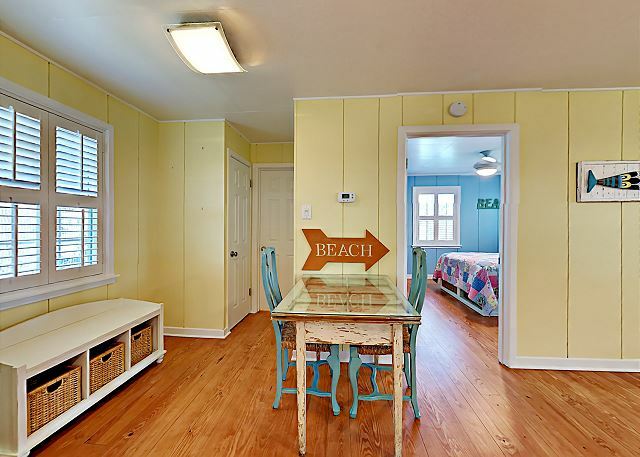 Just a short stroll or drive to the beach. 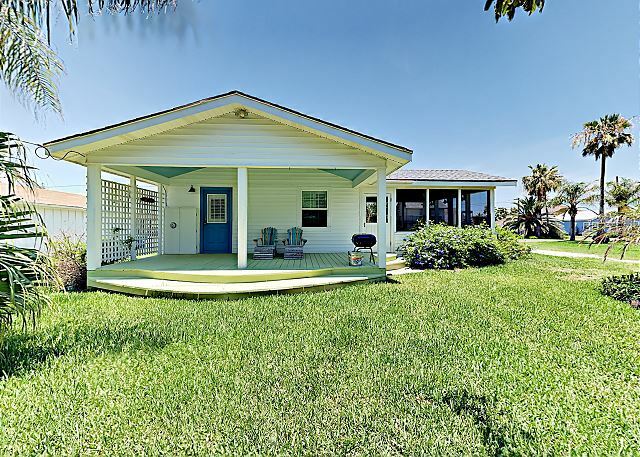 This property is located in a very quiet neighborhood in the heart of Port Aransas. 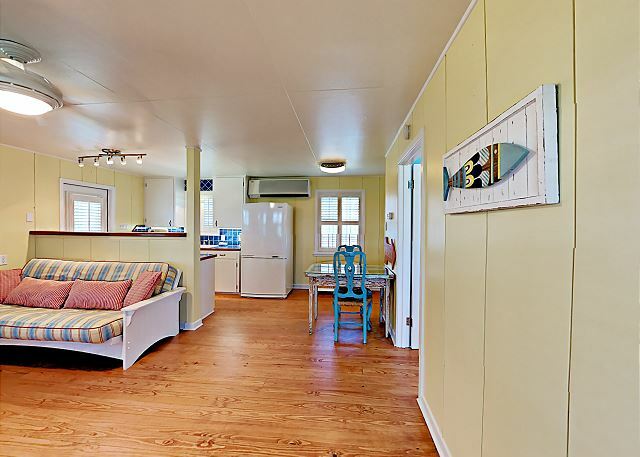 The quaintness of this cottage makes it a perfect place for that romantic getaway. 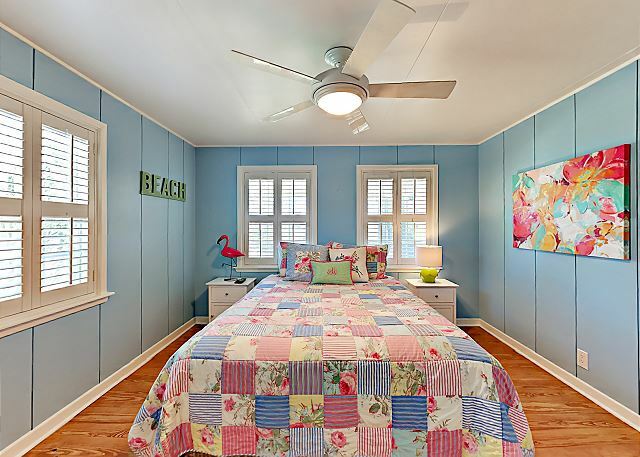 The cottage is beautifully decorated in beach styling. 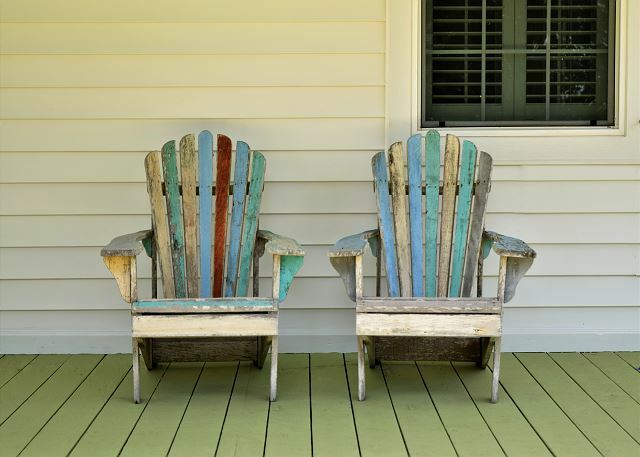 You will love setting on the screened in porch watching a movie or enjoying a great bottle of wine, it also makes a great area for those who want to sleep outdoors without worries of insects. 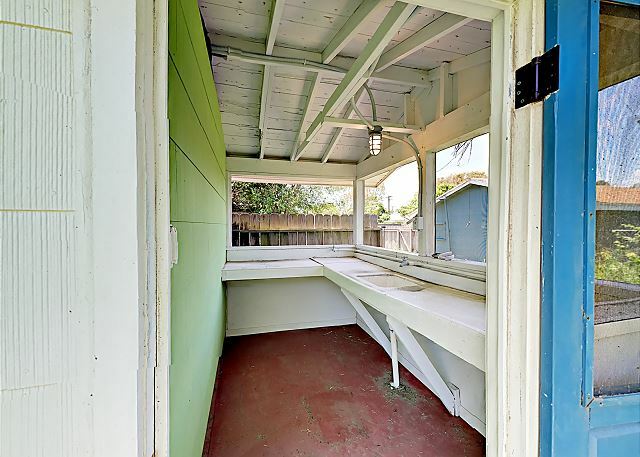 There is also outdoor seating on the front porch.There is a charcoal grill in the back yard, a building in the back which houses a laundry room and a fish cleaning station. There is also an outdoor shower to rinse off after fishing and cleaning your catch. 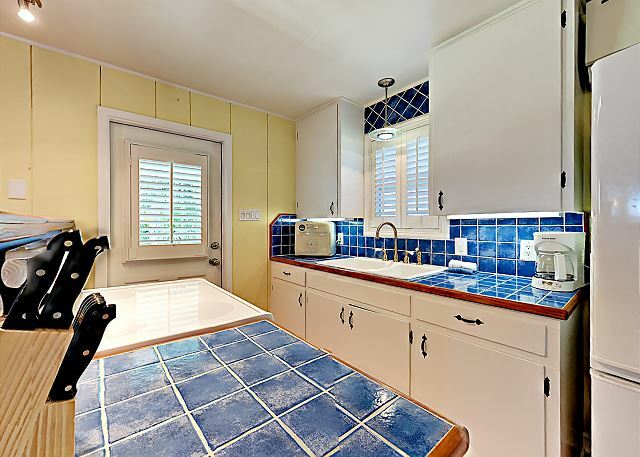 The full kitchen will meet all of your cooking needs, the dining table has seating for 2. The living room has a couch, which is a sofa sleeper, and 2 chairs with a TV, cable and Wifi. The bedroom has a Queen size bed, TV and ensuite bathroom with a standup shower. We rented this cottage as a last minute getaway for our family (2 adults, 2 kids) for a few days over spring break, and we really enjoyed it. It was perfectly neat and clean, well-stocked, and comfortable. There was a problem with the tv out on the porch during our stay, and the property manager was on top of it right away. It wasn't a big deal to us, because we didn't come to Port A to watch tv, but it was nice of them to get it sorted out quickly. Thanks so much for staying with us. We are happy you were satisfied with our service. We look forward to seeing you again soon. We had a great stay for January and February. Everything was great about the house and location except the comfort of the furniture. A futon for a couch and kitchen chairs that are falling apart. It needs to go. Thank you for your review. We are happy to hear that you enjoyed your stay with us. We will pass this along to the owner to suggest new furniture for comfort. We have been coming to Port A for several years now and always book our stay with Life in Paradise. The personnel have become like our family. We have 2 dogs that go everywhere with us and the Breezy Cottage is perfect for us. The pictures do not begin to describe this beautiful, peaceful home. We have even met the neighbors by the house and they are wonderful people. You will not be disappointed when you stay here. We are so happy to have repeat guests like yourself come and stay with us. We strive to make everyone's stay a fun and positive experience. Thank you for the review. An absolutely perfect location for access to the island. We rented golf carts to enjoy the beach and souvenir hunting. There were only 2 of us and we loved the house, everything we needed. Highly recommend. We are so happy to hear that you had a great stay at Breezy Cottage. It is a very popular property among our guests. Thank you for taking the time to give us a review. We hope to see you again soon! The weather was rainy, cool and windy. The cottage was warm, updated and very enjoyable for reading, taking our dog for walks and close to all our favorite restaurants...Shells, Erie's, The Phoenix. The interior was spotless and the grounds well maintained. We would recommend this Breezy Cottage without reservations. Thank you so much for staying with us. We are very happy you enjoyed your stay. Had a nice, long weekend at the Breezy Cottage. 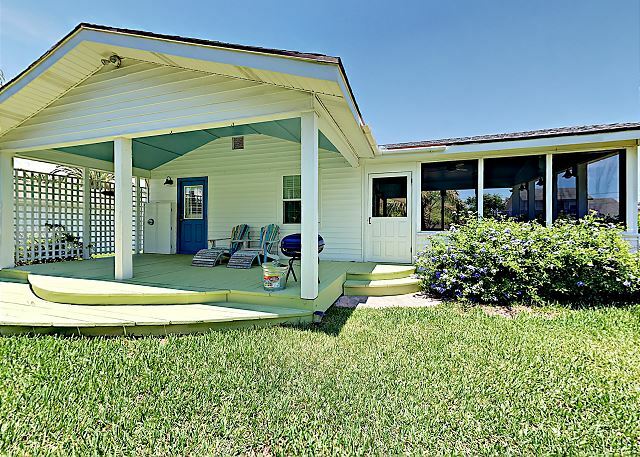 Perfect size for a couple to stay and be comfortable in Port Aransas. 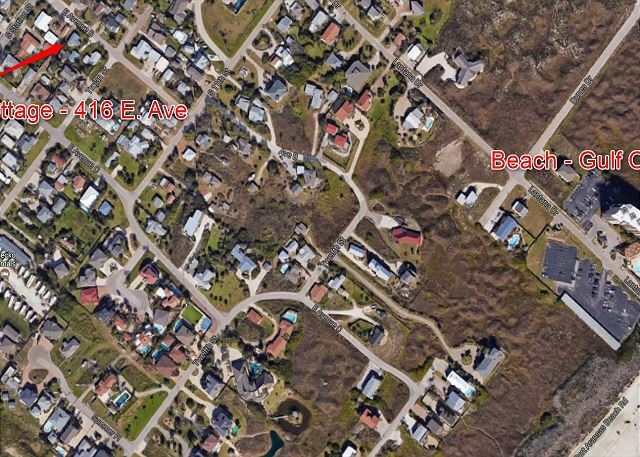 Just a few blocks to the beach and restaurants in town. The rental had everything we needed, was clean and well stocked - will stay here again. Thank you for staying with us. We appreciate you staying with us. 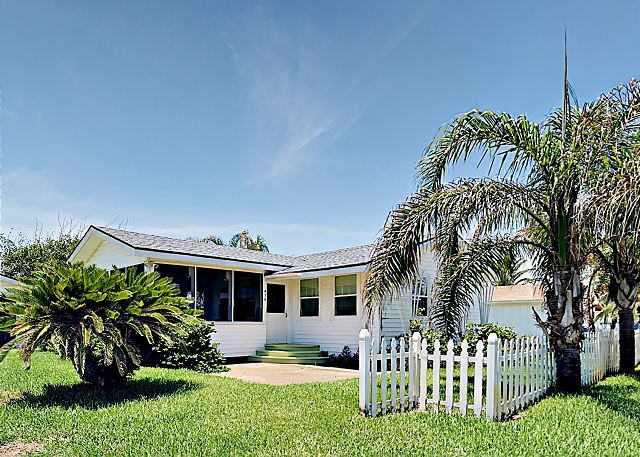 Great location - close to beach and restaurants/bars, yet very quiet. The house was very clean, and even more cozy than pictured. The management company was friendly and helpful, the process was fast and efficient with good communication. The fridge was noisy but that was minor; fyi no dishwasher. Loved this place, especially that porch! We are happy to hear that you enjoyed staying at this property. It is the perfect proximity from town and restaurants but still gives you a peaceful environment to relax. Thank you for your review. Please come back again soon! We enjoyed a 4 day weekend in this cute unit and enjoyed every minute of it. The outdoor shower was amazing for cleaning up after a day at the beach. The screened in porch was a great way to end our day watching a little TV and enjoying the “cool breeze.” We took our jeep and having the garage available to us allowed us to take the tops off and leave em off overnight. This unit was perfect for us. We are already coordinating calendars for for our next trip! Thank you for a wonderful stay! We are so happy to hear that you had a great time during your stay. Thank you for taking the time to give us a review. We look forward to having you again! I mentioned some things to the man in your office that needed maintenance. I failed to mention the possible fire hazard from spontanious combustion with the small covered steel bucket containing matchlight charcoal sitting in the hot sunlight all day. You may want to check that. And the outdoor shower is leaking probably several gallons a day. Also gave up on adjusting the Futon. Thank you for your review. We are in contact with the owner with these things and working to get them resolved and repaired. We thoroughly enjoyed Port Aransas and had a great time at the cozy cottage. 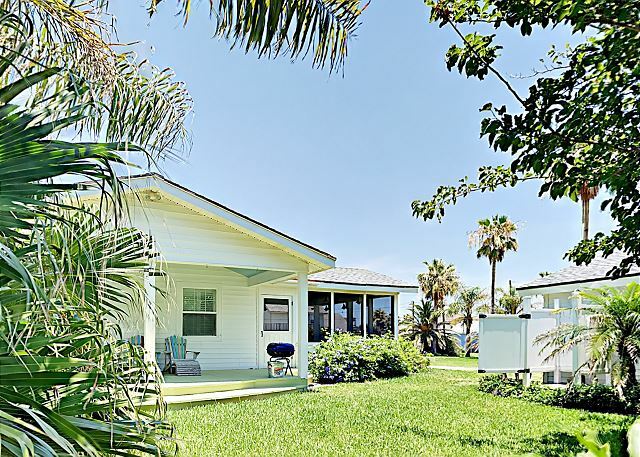 The accommodations were excellent and the location was ideal; a few blocks off the beach and a few blocks from the main streets. Port A has come a long way after Harvey came through and we can't wait to come back. 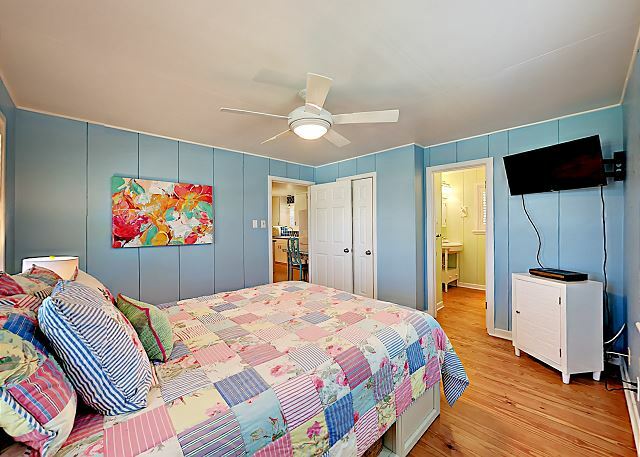 Thank you for your review of 416AB Breezy Cottage, we agree that the cottage is a great place to stay if your in Port A, come back and see us anytime. We went to meet our son and his family at the beach for a week. We have always rented a condo, but Harvey wasn't so nice to the places we have always rented in the last 42 years. So we started looking for a house that would be a good fit for us, our other son and our dogs. We couldn't of picked a better place! This little home is so nice and the back patio looking over the back yard was just great. 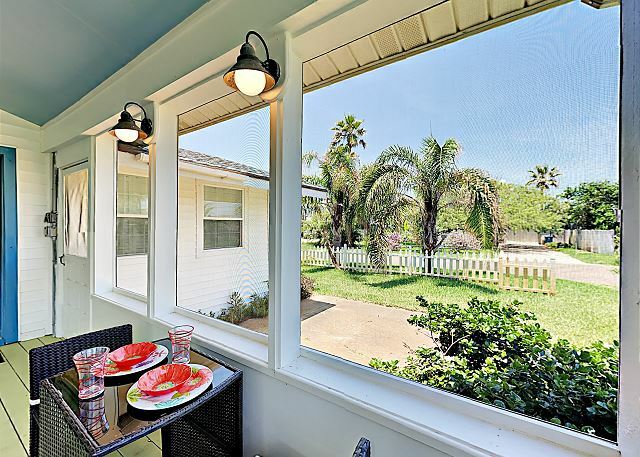 But the screened in porch on the side of the home was fantastic! We were all so relaxed here, it just felt like home. When we rented the home, we were so excited about it! Thought if the pictures were correct this was going to be a terrific place. All the pictures were just as it is and then some! We will be back and I know where we will be staying. 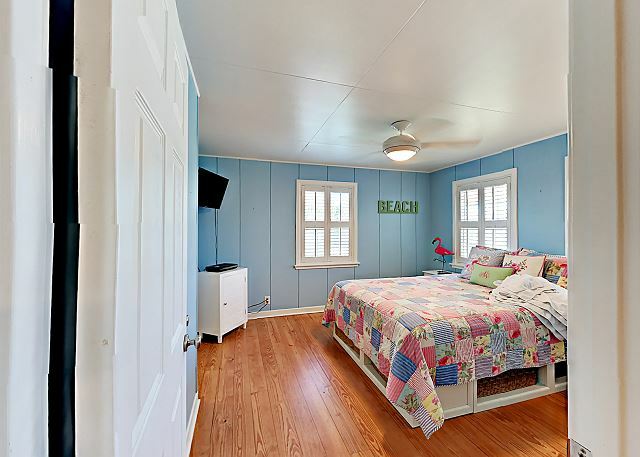 Thank you for your review of 416AB Breezy Cottage, we are thrilled your stay was overall a great experience, we take pride in offering a great service and this unit is such a neat relaxing place to stay if you are in Port A, the screened in porch is our favorite as well, can't wait to host your family again. We really enjoyed our stay. the cottage was just as described for amenities. Everything was in excellent shape and great condition- no photoshopping here! The fridge smelled wonderfully of bleach and was sparkling clean. we were able to store our bikes out of site on one porch and have coffee in the mornings on the screened in porch. we DID use the outdoor shower- very refreshing after the beach. Great cottage to stay in for Port A! 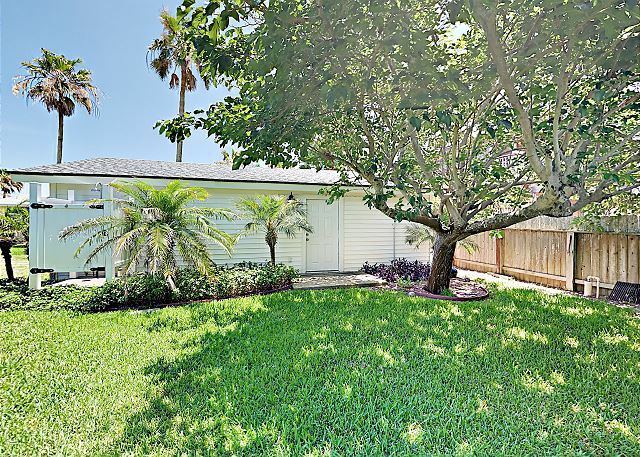 Close to all the downtown restaurants and a couple minutes from the beach. 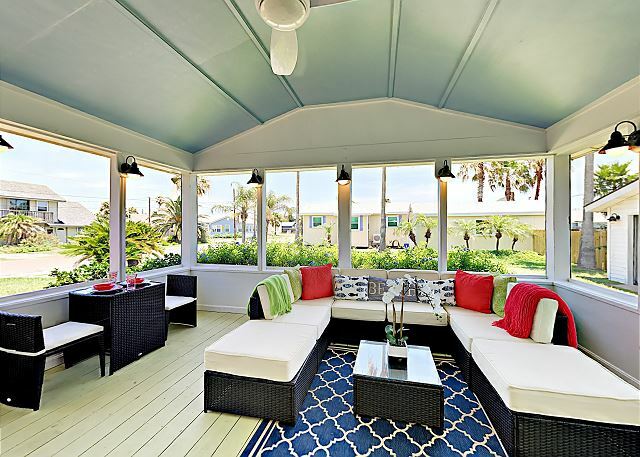 The screened inporch with the TV makes for fantastic evenings in the ocean breeze. Great little spot! We loved the porch, since we had large dinner gatherings. The kitchen lacks work space and a dishwasher, but overall everything was very nice. Management was available and responded quickly to every question. We will rent here again. Thank you, Carolyn, for the review, we look forward to hosting you again in the future. We had an amazing time at this cottage! It was well decorated and very clean. The kitchen was well stocked. We made good use of the fish cleaning shed and the screened in porch. The driveway was plenty long enough for us to park our truck and boat. We will definitely stay here over and over. This house was perfect for us. Great for two people. Cute house. Great location and we really enjoyed the screened in porch. Will definitely be back.